It’s not just any swimming pool; it’s the Beijing National Aquatics Centre, a.k.a. the Water Cube. 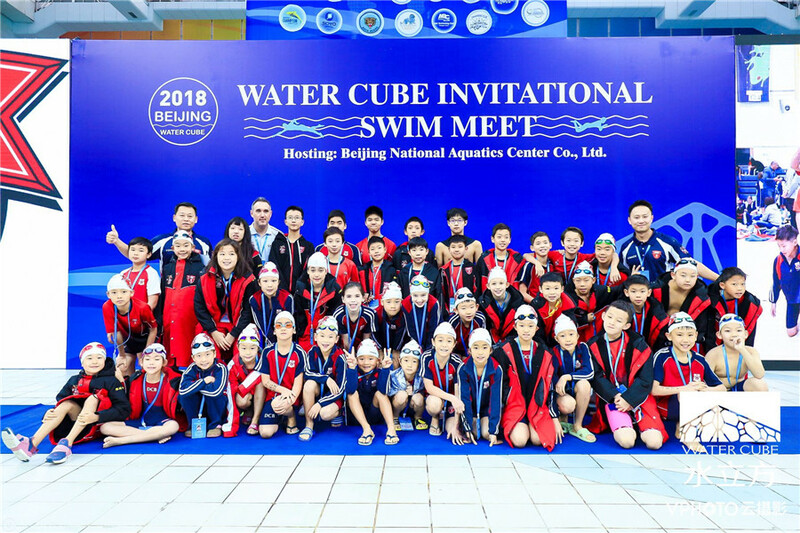 And 46 swimmers represented DCB Swim Academy to compete at the first Water Cube Invitational Swim Meet on Saturday 10 November! 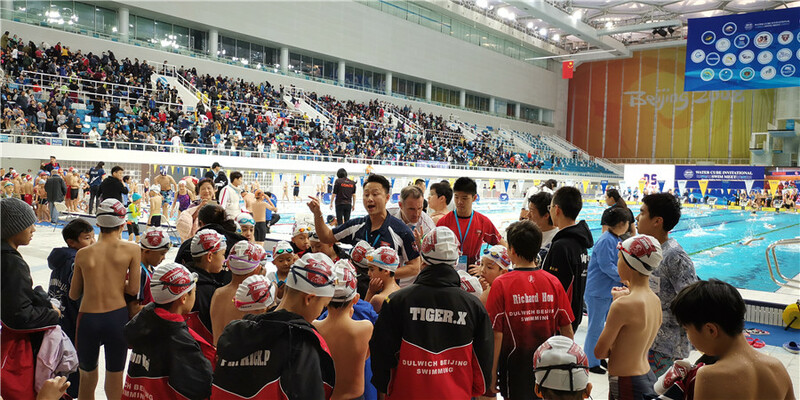 There were 27 teams from Beijing and other regions, with 808 competitors, 2,805 individual entries and 128 relay entries. The DCB team consisted of 20 boys and 13 girls under 10 years old. They were led by some experienced senior swimmers like Frederic L and Yolanda Z. The DCB Swim Academy did an excellent job, with 34 top 10 finishers and bringing home six medals. Two gold medals came from our senior swimmer Frederic L, who won the Boys 15 & over 50 m Butterfly with a time of 28.22, and a personal best time of 25.70 to win the 50 m Freestyle. Two silver medals came from Tim Z (Boys 11-12 100 m Breaststroke) and Frederic L (15 & over 100 m Freestyle). 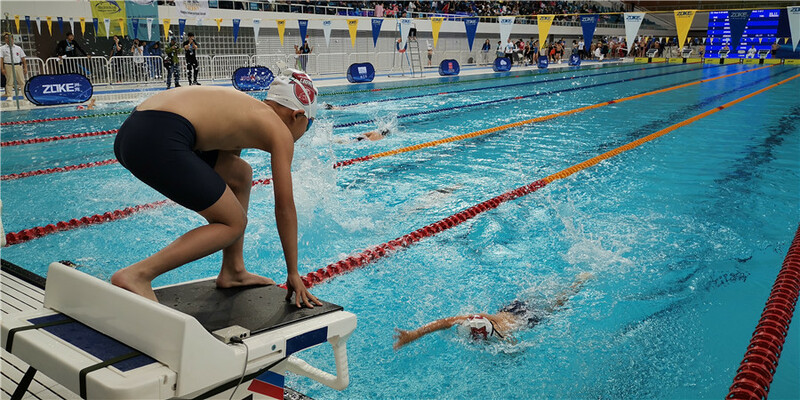 Two bronze medals came from two junior swimmers: Eleanor R in the Girls 8 & under 100 m Breaststroke and Alvin S in the Boys 9-10 100 m Breaststroke. Well done all medallists and all DCB swimmers!